It was the year when the telecommunications directorate prohibited certain words from Turkish domain names, including “yasak” (prohibited) and “baldız” (sister-in-law) among 136 others. It was also the year Necmettin Erbakan, Erdoğan’s political mentor and predecessor, died of heart failure. A pre-ISIS era when the term “refugee” had not yet bonded with “crisis” in European news outlets. 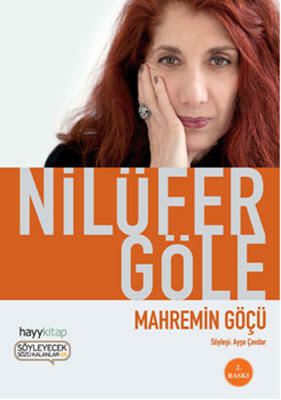 Mahremin Göçü (The Migration of the Forbidden), one long interview with Nilüfer Göle, was published in early 2011. The interviewer Ayşe Çavdar, an academic herself, starts the conversation with Göle’s personal history in the first chapter and moves onto questions surrounding her books in the next four chapters, to which Göle responds with both scholarly judgments and anecdotal examples. The final part of the book is dedicated to articles reflecting on Göle’s heritage penned by four commentators, adhesion to Islamist principles the only link between them. I am especially drawn to two of the writers: Sibel Eraslan and Ali Bulaç. In January this year, the former was named advisor to the Ministry of Culture and Tourism, the latter has been in prison since July 30, 2016. In seven years, the Turkish political landscape has changed dramatically. Ideological differences among the Muslim intelligentsia have been replaced with deep hostilities, former allies have become the worst of enemies. For the past two years, Turkey has been the biggest jailer of journalists in the world. “Thinking back to that time, my disappointment is immense,” admits Nilüfer Göle in an Op-Ed in the Huffington Post. She wrote those words in 2017 but the time she refers to is 2002, the year when the death penalty was abolished to align Turkish laws with the EU acquis, a few months after which AKP came to power for the first time. Göle is a controversial figure in Turkey. She once described the burqa as “the power of the minority, [representing] total darkness against modernity,” adding that she did not prescribe to “total enlightenment anyway.” Not surprisingly, she faced a barrage of criticism from secular opponents to female covering. The disapproval she attracted from the academia goes back to 1991 when she published her seminal book Modern Mahrem – Medeniyet ve Örtünme (The Forbidden Modern – Civilization and Veiling). In the interview, she talks about how a disappointed colleague confronted her: “It’s unbecoming for someone like you who’s studied in France to treat them [women with headscarf] as human beings.” Throughout the nineties, up until February 1997 to be precise (1), the nationwide dress code that banned the headscarf in public institutions was not strictly applied on university campuses and the number of covered female students was not significant either. Long before that, Göle’s radar was tuned to these women who, she presciently argued, were claiming space for themselves in modern life all the while embracing religious values. In a young, Muslim-majority republic built with top-down secularism, conflict was inevitable and the headscarf issue turned into a political saga at the end of nineties, proving The Forbidden Modern historically relevant in the coming decades. In France, meanwhile, publishers dismissed her book, especially the first chapter that focused on secularism and Islamic covering. There is no connection between secularism and the headscarf, they said, just a few years before precisely that connection became a heated public debate in France. Where others see “a clash of civilizations”, Göle sees “interpenetrations,” a concept she applies to multiple dimensions of Muslim presence in Europe. In her words, she’s “never been a ‘Westernist’ intellectual,” and attempts instead “to formulate definitions of modernity without relying on Western notions.” In the middle of her academic career, she returned from Paris and started teaching in Boğaziçi University. On her first day as lecturer, when she argued that Turkish arabesque was a very important genre of music, she immediately lost favor among her students. Nilüfer Göle refers to herself as a “Europhile” disillusioned by the reformist government the AKP once was. A sentiment shared by many liberal intellectuals who Kemalists accuse of lacking the vision to see the “secret agenda” that Islamists would eventually disclose. In spring 2007, “Republic Protests” took place in major cities of Turkey with people voicing concerns about the ruling party’s threats to secularity. Did the protesters anticipate what’s now happening in Turkey where preachers assigned by the Directorate of Religious Affairs are teaching ten-year-olds about martyrdom and an awareness of following prophet Muhammad? Were the protesters of 2007 the far-sighted visionaries that justify how erroneous liberal supporters of AKP turned out to be? We have to remember that the said rallies were launched in response to presidential elections and the trigger that sent thousands of people to town squares was the headscarf of the nominee’s wife, Hayrünnisa Gül. Kemalists mobilized against the government were retrogressive advocates of the secularist establishment who demanded a restoration of the old system under military tutelage, a verbatim implementation of Atatürk’s principles in clear defiance of the societal realities and concerns that have galvanized AKP’s voter base for years. There is a third way. One can challenge the arguments of Europhile reformists like Nilüfer Göle without a recourse to obsolete Kemalist aspirations or losing sight of legitimate demands by conservatives shunned by the state since the foundation of modern Turkey. In the book, Göle tells an anecdote about an encounter with the Council of Higher Education (YÖK), a fruit of the 1982 constitution put in place to undermine universities’ autonomy. Having drawn their attention due to her academic interest in the headscarf, she’s appalled at the meeting she had with YÖK officials: “In their view, the headscarf was synonymous with a Kalashnikov and posed a massive threat of Islamic terror.” In the following chapter, Göle observes “an intellectual and political paradigm shift in Turkey” towards democratization. “AKP politicians have managed, very skillfully, to assume the role of statesmen.” she says. For more than two decades, one major task of YÖK was involvement in rector elections. Voting took place at universities, the top six candidates were then referred to YÖK which narrowed down the list to three members of faculty, not necessarily respecting the original list. Finally, the president named rector whoever was closest to his ideological line. The secular, pre-AKP president Ahmet Necdet Sezer and his successor Abdullah Gül, one of the founders of AKP, followed the exact same path, overriding the democratic choices of academics across the country. In that regard, the paradigm shift Göle talks about proved to be a mere illusion. AKP cadres have indeed adapted to the role of statesmen pretty quickly. They have become the very incarnation of partisanship that had victimized millions of conservatives for decades. Göle also draws a fancy contrast between Erdoğan and his ideological precursor: “Erbakan’s first official visit was to Qaddafi in Libya. But Tayyip Erdoğan went to European cities first. This is somewhat an Oedipal urge to kill the father to surpass him.” Necmettin Erbakan was a cerebral, headstrong politician, but he was not a great populist. Erdoğan, meanwhile, is a pragmatist par excellence. When AKP won the majority vote in 2002, he was still banned from politics for the poem he’d read at a rally in 1997. Later, when the ban was lifted and he became prime minister, he was aware of military tutelage hanging above him like the Sword of Damocles. With the help of EU reforms, he could dismantle military tutelage for good. When the armed forces issued an e-memorandum on a late night in 2007 to warn the government against anti-secular activities, Olli Rehn, the then EU Commissioner for Enlargement, denounced the army’s interference in politics the morning after. 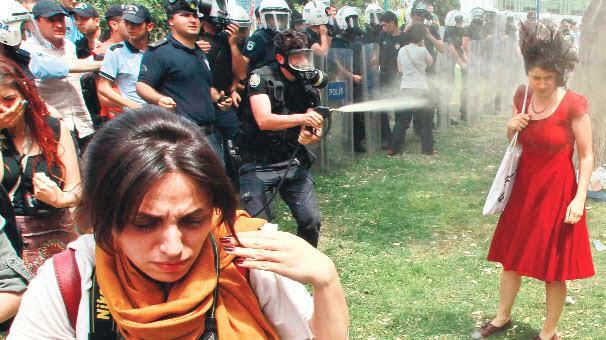 It was a good few hours before the ruling AKP could muster the courage to issue a public statement. In Erdoğan’s words, democracy was like a tram you’d get off after you have reached your destination. In 2007, the driver was the EU and the terminus still a few years away. Erdoğan chose his allies well. Since the publication of Migration of the Forbidden in 2011, another observation by Nilüfer Göle has been invalidated: “Neo-nationalism has not found a party in Turkey.” The Gezi Park protests and the Syrian civil war which complicated and led to the ultimate collapse of the peace process with the PKK were seismic developments for the government, both of which turned into instruments of political gain over time. To the Gezi uprising, the most critical test of legitimacy he had faced, the then prime minister Erdoğan chose to play on the fault lines of the society and started to pursue a divisive and increasingly oppressive rhetoric. He was not too bothered to have lost the liberals who’d laid hopes in their reforms as well as the Kurds disheartened by the failure of peace talks. From June 2013 onwards, AKP took a decisive turn from conservative democratic line towards authoritarianism with a solid footing in nationalist, conspiratorial discourse. Around the time the government started Operation Olive Branch in Afrin earlier this year, glorification of martyrdom and jihad had already been included in middle school curricula. Political dissent on the streets, in the media and across academia have been declared treason. Erdoğan, the strong-willed leader of the new Turkey, would square up to enemies within and without. While the country slides from a policy of “zero problems with neighbors” to severe isolation and the Turkish lira hits lowest levels in decades, Erdoğan keeps pointing to external foes trying to destroy the country. A few hours before Fitch assigned a “negative” credit outlook for Turkey, he dismissed “ideological approaches” of rating agencies. One is left to wonder what ideological motive had led Fitch to affirm Turkey’s “investment grade” rating for three years in a row until 2016. Following the Gezi protests, the AKP government invented and has since then systematically propagated the catchphrase “national will” to represent their supporters, instantly denying the willpower and national interests of millions of Turkish citizens. Another catchphrase is the sadly ironic “new Turkey”, a dream that had been shared by both conservatives and liberal democrats. “Unfortunately, it’s in Turkey’s genetic codes, the desire to forget ourselves and our history,” says Nilüfer Göle in the interview. Referring to the Westernization project to weaken Islamic heritage in the new republic, she asserts: “For a while, we wanted to forget about who we were.” When Amnesty International activists were imprisoned for unsubstantiated terrorism charges last year, the NGO released a video that included the following statement: “President Erdoğan, remember 1998? We do. Back then Amnesty campaigned for your release when you were mayor of Istanbul defending your right to read this poem . . .” Forgetting is convenient. The new Turkey is a place where a canteen worker in a newspaper says, “If Erdoğan comes here, I won’t even serve him tea,” and is detained by the police for these words. (1) On February 28, 1997, the Turkish military issued a memorandum that led to the resignation of the prime minister Necmettin Erbakan and collapse of the coalition government. In the aftermath of what’s referred to as the post-modern coup, the then-mayor of Istanbul Recep Tayyip Erdoğan served prison sentence for reading a religious poem at a rally.